Are you headed to Dell Technologies World 2018 in Las Vegas? The team from Galileo will be there too! As a best-in-class provider of predictive infrastructure performance monitoring, Galileo provides our clients with in-depth insights into their Dell EMC infrastructure systems, including VMAX, VNX – Block, Unity and XtremIO… with support for Isilon coming later in 2018! We’d love to show you how Galileo can support your upcoming infrastructure initiatives including AI infrastructure and capacity planning, cloud migrations, high performance computing and server consolidation. Our team is hosting a few events during Dell Technologies World. Please RSVP to join us or feel free share with others in your organization that will be in Las Vegas for one of the biggest IT events of the year! Join Galileo Performance Explorer for our See the Future Happy Hour on Tuesday afternoon during Dell Technologies World in Las Vegas. We’ll wrap up a full day at the conference with a relaxed session in the Galileo Hospitality Suite at The Venetian. Need to break away from the hustle of the conference and breath some fresh air? Join Galileo Performance Explorer by the Venetian pool on Tuesday, May 1st. No presentations, no pressure. Simple mix and mingle with the team while taking in the sunshine (in between sessions of course)! Join Galileo Performance Explorer for our See the Future Happy Hour on Wednesday afternoon during Dell Technologies World in Las Vegas. We’ll wrap up a full day at the conference with a relaxed session in the Galileo Hospitality Suite at The Venetian. Need to break away from the hustle of the conference and breath some fresh air? Join Galileo Performance Explorer by the Venetian pool on Wednesday, May 2nd. No presentations, no pressure. Simple mix and mingle with the team while taking in the sunshine (in between sessions of course)! Need more information about the events above? Please reach out to Kelly at knuckolls@galileosuite.com, and we look forward to seeing you in Las Vegas! Why Attend Dell Technologies World? Dell EMC is one of the largest names in the technology industry, and as a best-in-class provider of infrastructure performance monitoring, the Galileo Performance Explorer team is very familiar with what Dell solutions can do. Currently, Galileo Performance Explorer provides our clients with in-depth insights into their Dell EMC infrastructure systems, including VMAX, VMC, Unity and XtremIO. Later in 2018, we’ll also be adding new agents to support Dell EMC Isilon, expanding our capabilities in connection with Dell EMC infrastructure. 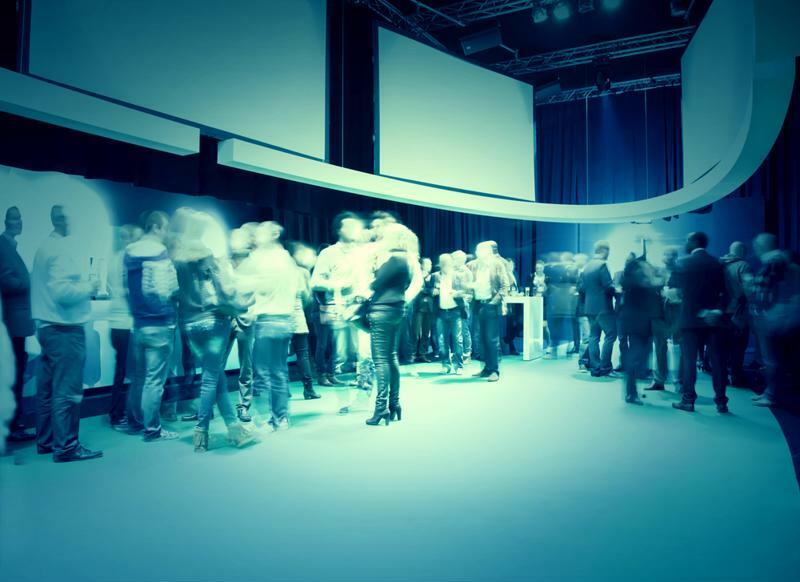 As Dell EMC explains on the conference website, this event has something for everyone – from thought leaders and executives to engineers, architects and beyond. The five-day conference includes a range of different activities, sessions and meetings for attendees covering topics including cloud, emerging devices and applications, security and more. April 30: After breakfast and breakout sessions, participants can attend the Michael Dell and Karen Quintos General Session, “The engine of human progress.” This day of the conference also features Robin Hauser’s “AI, VR and Blockchain: How emerging technologies are changing the world as we know it,” as well as Pat Gelsinger’s “Innovate in everything and anything: Any device, any app, any cloud.” The day then closes with the Grand Opening Reception. May 1: The Solutions Expo will be available for attendees to explore from mid-morning through the evening. Featured presentations include Jeff Clarke’s “Power to make IT real,” and Andrew McAfee’s “Business advice we shouldn’t believe anymore.” Participants can end their day with a Happy Hour hosted in the Solutions Expo. May 2: This day includes Jeremy Burton and Beth Phalen’s “Back to the digital future,” as well as “The innovators: How a group of inventors, hackers, geniuses and geeks created the digital revolution,” with Walter Isaacson. This day closes with the conference’s Customer Appreciation Event with a performance by Sting and Walk the Moon. May 3: The final day of the conference includes breakout sessions throughout the day. Check out this page to learn more about featured speaker presentations. Galileo is preparing to attend Dell Technologies World in Las Vegas. Technology track: Best suited for IT practitioners, managers, administrators and architects, this track features sessions to teach attendees how to resolve IT issues and boost their tech investments. IT Leadership track: IT decision-makers, directors, senior architects, executives and consultants might be most interested in this track, which covers industry insights, trends and top IT strategies. Code and Modern Ops track: Ideal for coders, app owners and infrastructure admins, this track includes sessions revolving around best practices for managing cloud infrastructure and how to meet digital transformation needs. As the conference includes more than 400 breakout sessions, selecting a particular track helps attendees make sure they get the most out of Dell Technologies World. In addition to all of these valuable activities, our Galileo Performance Explorer team will also be in attendance. Come stop by our hospitality suite and check out a live demo of our industry leading infrastructure performance management suite. See you in Las Vegas!